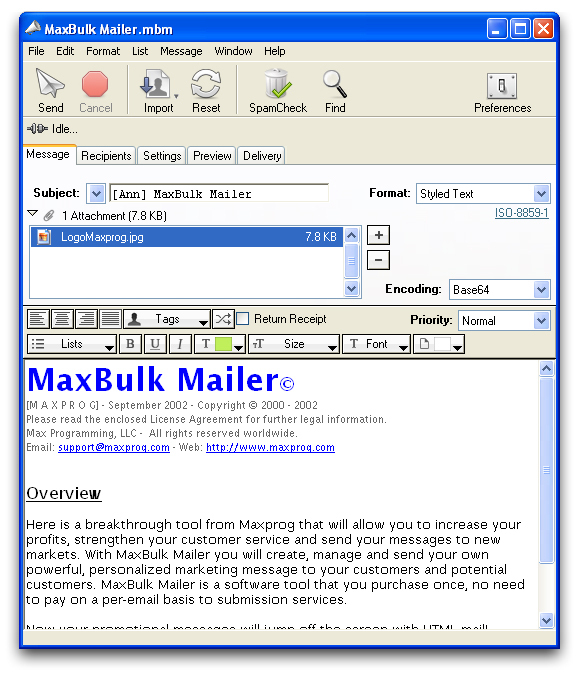 MaxBulk Mailer ist ein funktionsreiches Programm zum Versenden von Serien- und Massen-E-Mails f?r den Macintosh und Windows. 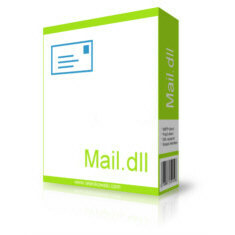 .NET component for sending and receiving email messages. Includes POP3 and SMTP clients with SSL. Written entirely in managed code in C#. Use it from C#, VB.NET and ASP.NET. Send HTML emails with embedded images. Send and receive attachments.